I've been tinkering with various templates foating around the net, nothing really caught on. Problem try to produce a responsive site. I then tried to find a simple to use framework (skeleton and bootstrap). One too simple and one to many features. Ya know when you have a (V8) moment, I re-discovered W3Schools CSS framework. Just right for a start and plenty of samples to try. I'm sure this will lead to an improved performance of the site. I have so many ideas I don't know where to start. Just watch what I can create. Hint: A BIG change is going to be in store. Watch how I throw out the Classic ASP and switch to PHP! Well, it's been a while to update some web pages. I've spent some time to get the new site functioning. It might not be perfect, but I'm sure, it looks great. A lot of tinkering still needs to be done. The site is HTML responsive. Just click the open book for the menu. Be prepared for a real surprise. I'm having a great time learning new web technologies. 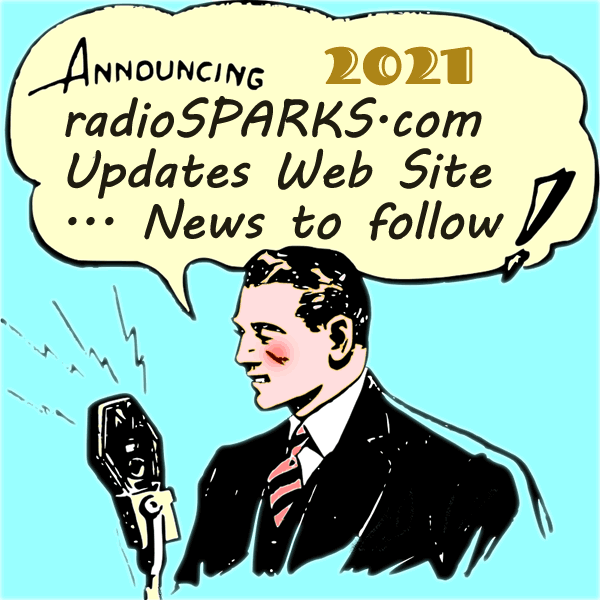 HINT: radioSPARKS will be getting a face lift soon. 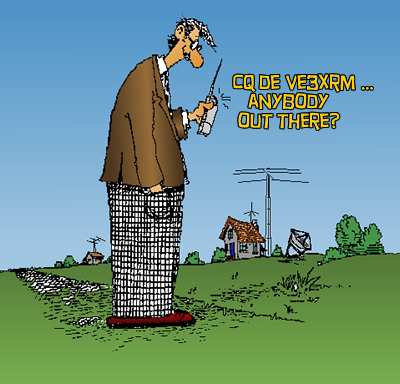 I found that the editors mentioned my little web site in my favourite Polish Amateur Radio magazine. Thank-you Swiat Radio. I get this magazine every month. What I like is the Hobby Digest which covers sample articles from all the Amateur Radio Magazines still in print. I can read Polish in a limited way (but a Polish wife helps) as does Google translator. 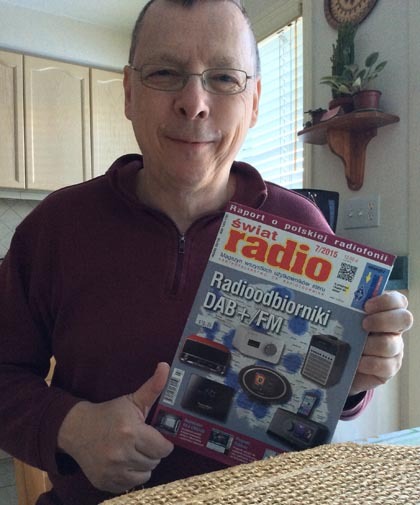 North American magazines don't have the same interest as all the European ones like Swiat Radio. Others are Czech., Russian, German, French, British and Australian. Well, It's 2016. What a busy year and a really disappointing winter so far. No real snow fall. If I ever can get a decent snow storm I'll put up a new 40 metre antenna. There is a secret, a new web site design is in the works. What is needed an update to a more responsive site design for the smaller screens of mobile devices. Herr Kommandant, this is a new database engine for the website. Helmut, what is a website? And, how did you get colour in a black and white photograph? Herr Kommandant, This is a secret, code named Fireworks, and the website will not be invented for another 90 years, called RadioSparks.com! Ach! Helmut. I didn't understand anything you just said. Your creativity is, as always, unbelievable. I really thought that was a radio receiver you had made.